1. You were injured due to a slip or slip and fall. 2. Your fall was due to a defect. 3. The defendant had superior knowledge of the dangerous defect. 4. Damages (medical expenses, lost wages, pain and suffering, and when applicable punitive damages). What does it mean superior knowledge of the defect? This is a legal concept that means that the defendant (store, gas station, restaurant, etc.) had actual knowledge of the slippery or dangerous condition or that they should have known. There is Georgia case law that holds the defendant liable if the plaintiff can prove the slippery condition was present for at least 15 minutes or more. Slip and fall attorney Richard Griffin knows that liability can also be proven by showing the employer caused the slippery dangerous condition or defect or by showing that an employee was in the area of the defect and should have noticed it. Superior knowledge also means that the defendant had a greater knowledge of the defect than the plaintiff. If the defective condition is open and obvious, then a defense can be raised that the plaintiff knew about the defect and choose to walk through it anyway. What if the plaintiff does not know what caused the fall? In a recent case, Nancy Mathis and Jerry Mathis v. The Kroger Company, SCI Woodmont Fund, et al (03-23-2013), a Cherokee County State Court judge dismissed the case when the plaintiff could not identify the particular hazard that caused her fall. So if you fall it is very important to look around and see what caused you to fall. If you do not know what caused you to fall, then your case will probably be dismissed on summary judgment and not allowed to be tried in front of a jury. Proving liability and damages in a slip and fall case requires a very experienced slip and fall personal injury lawyer. 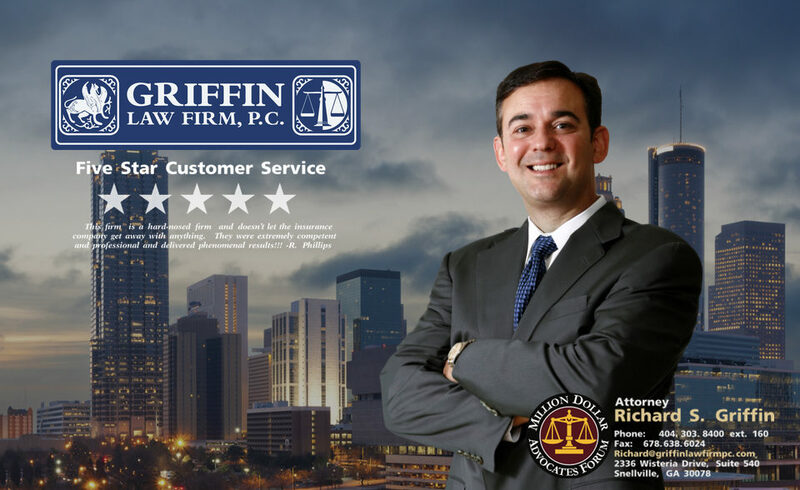 The Griffin Law Firm has a history of obtaining great settlements and verdicts for their personal injury clients since 1995. Call us today to discuss your slip and fall case. We will act quickly for our slip and fall clients to investigate the accident, obtain and preserve the evidence, and ultimately win you a great recovery for your personal injury claim.